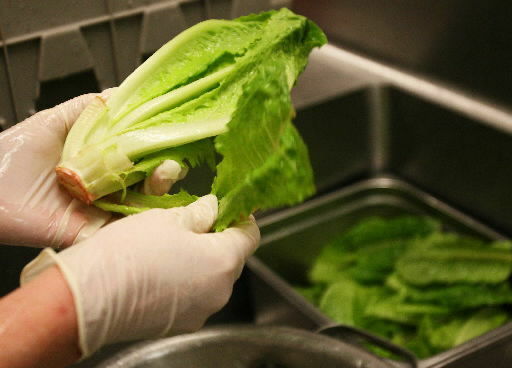 USDA school lunch programs will continue through March, despite the federal government shutdown. Despite the federal government shutdown, Supplemental Nutrition Assistance Program recipients will still be able to buy eligible groceries for the rest of this month, according to the U.S. Department of Agriculture. Earlier this week, U.S. Secretary of Agriculture Sonny Perdue said in a release that SNAP benefits had already been fully funded for January when the USDA’s funding expired. Perdue also expressed confidence that February’s benefits would come through. “We want to assure states, and SNAP recipients, that the benefits for February will be provided,” Perdue said. Additionally, school nutrition programs that provide breakfast and lunch to low-income children are funded through March, the USDA said. Keeping county digital transactions safe from intruders is a priority for county officials. And in a cyber security report issued this week, the number of potential intrusions to county systems were down in December. According to the county attorney’s office, there were 23.6 million clean internet transactions (93.7 percent), up 700,000 from November; while 1.58 million transactions were suspect, down 20,000 from the previous month. Among the first round of recipients awarded a state cyber-security grant, Washington County will get $50,000 to continue to beef up systems that county attorney Roger Wickes said are already secure. Additionally, Hampton Supervisor David O’Brien, committee chairman, expressed his concerns about the 911 software because it crashes several times a night, according to meeting minutes. In the meeting, county Administrator Chris DeBolt said this has been an ongoing issue, but there are no easy solutions and replacing the system could cost up to $1 million. O’Brien urged supervisors to tour the 911 center. This week, the Washington County Personnel Committee approved 10 staffing requests to fill already existing positions. These include full- and part-time positions in building and grounds, public health, real property, social services and probation. The Washington County Board of Supervisors must give final approval on the backfill positions.